Best compliment I’ve received in at least a month. 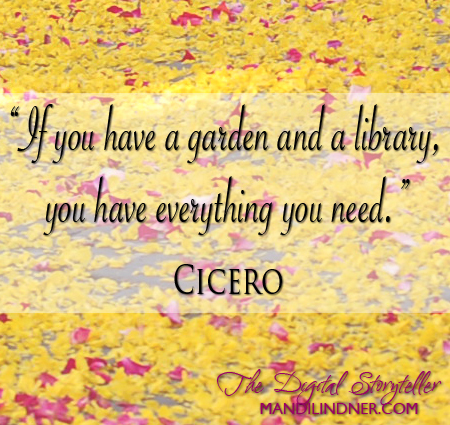 The truth is I don’t have a list, but I usually pick up interesting-sounding books on the clearance rack at Barnes & Noble, stumble across recommendations from friends, or run into author readings at the bookstore that introduce me to new material. Some of the books sit on my shelf for years before I get to them. Others are so tempting I start reading them immediately and finish them within days. Yet others I can only take in bite-size chunks because they’re either too dense or, more likely, too infuriating for me to read in one sitting (or my head will explode). The Jungle is a book that’s been languishing on my shelf for many years. I knew I needed to read it, I just didn’t have the time or inclination. I read Fast Food Nation many years ago and was so appalled that I didn’t eat ground beef for six months. Not on principle. I just couldn’t stomach the visuals I received from the book. The Jungle had a similar reception in its day, but I think it’s easy to claim it’s a story from a long ago time, food manufacturing is better today, and so this book is all about the past. In reality I drew a lot of parallels between The Jungle’s world and the American economy today. I can’t say much about food safety, regulations, and cleanliness in manufacturing, but I assume it’s gotten better, more stringent, and safer, even if Fast Food Nation points out some inconsistencies with that theory. In all, it’s an interesting read because it’s based on in-person reporting (though the narrative is fictionalized) and the history of the book and Sinclair’s career is so interesting. Everyone in my circle was talking about this book many years ago as it swept the Christian set in popularity. Again, I bought it when the Kindle version was on sale and then never read it. I couldn’t get past the slow, odd beginning. I tried again a few months ago when some friends brought it up again. This time I made it past page 10 and I am so happy I did. The book offers a unique look and idea of the Christian triune God, one that I liken to how Frank Peretti is able to offer a unique look at how supernatural forces may interact with our world (if you believe that sort of thing). I’m not finished with it yet, but I have much highlighted and many thoughts running through my brain. I clearly never paid much attention in English or literature courses because I had no idea that the last scene was coming until I read it. Isn’t that great? That even though a book has been around for decades and is required classic reading for so many (not for me, I had a preoccupation with British literature in high school and college) and yet we can still be surprised? It helps that John Steinbeck lived before social media and no one’s thought to live tweet this tome (please correct me and comment with a link to some random Joad Twitter feed!). When I mentioned I was reading this book a friend of mine mentioned that she always wanted to write the narrative from the business owners’ perspective. Though the book touches a bit on small business, it doesn’t dive very deeply into it, and it would be an interesting take. When I read books like this I get really interested in the time and place and tend to consume anything that has to do with it. I watched Ken Burns’ documentary, The Dust Bowl on Netflix and was a little upset to realize that much of John Steinbeck’s notes for the book were painstakingly recorded by Sanora Babb, whose editor sent him the notes without her knowledge or permission. She was working on her own novel about The Great Migration when Steinbeck published his book using her work and won a Pulitzer. The feminist in me is very upset by this. The realist in me can’t deny Steinbeck did do much of his own research to supplement hers. Babb’s novel was finally released in 2004. This is an example of a book that I have to read in small increments. It’s a fantastic look at the state of mainstream media in America, where it’s been and where it’s going. The book also makes the case for media to be funded, in part, by public (read: government) money. The turn of the 20th Century was really the beginning of the marriage between the free market and journalism. The idea that the fourth estate MUST be kept completely separate from government (for fear of media bias and corruption) is a relatively new concept in our country’s history…and, quite frankly, false as proven by many developed, democratic nations across the globe. The truth is if we do not have a robust, informed media we cannot have an informed citizenry nor will there be watchdogs in place to uncover corruption in the business or political worlds like that of muckrakers past. Public perception is that it’s just a given now that lobbyists and politicians work in concert, and this book is sort of sounding the alarm that things will only get worse if we let journalism fall any farther. They do offer hope and solutions, though I’ve only scratched the surface of those chapters so far. But, as someone educated in communications and journalism, it’s great to see the topic investigated so thoroughly. I can only wish more Americans cared beyond their “X news station is so biased” complaints. This is also a book that is good to read in small increments just because of the way it is formatted. I think I got this one for free when I signed up for the University of Minnesota Alumni Association. I’m currently searching for a maybe full-time gig and it’s good to hone the skills. Plus there are a lot of nice tips and tricks. Mackay includes a lot of interviews with hiring managers and recruiters that are helpful to decoding how their minds work. He also provides a lot of encouragement, which is very necessary in today’s job market. I’ve never had too much trouble landing a job in the past and I have enough faith in my abilities and experience to be able to do so now. Even so, I would recommend this book for anyone who’s been unemployed for quite some time. Book one of my 44 Presidential Biographies quest. I read much of the book really quickly and then ended up renewing it at the library about three times as my interest tapered off. I’m the same with Netflix marathons. Two and half seasons is my limit to gorging on a show and then I have to take a break for a few weeks until I feel like coming back to it. 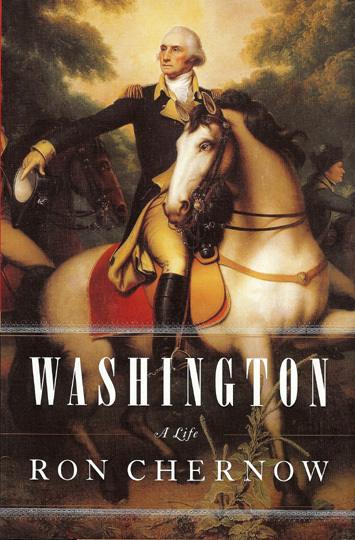 This biography does cover quite a bit of Washington’s pre-revolution life and post-presidency life. With these biographies I’m looking for breadth as well as depth. So far John Adams is my favorite President of the biographies I’ve read. Morally he was a good man (as was Washington, if you’re wondering) and he seemed to deal with a lot of criticism throughout his entire life and I have to wonder if he was just misunderstood. That’s me being a softy though. I guess maybe I just relate to him the most. Fun fact: He was also one of the few founding fathers who never owned slaves. Many founding fathers detested slavery and wished (so they said) for the end of the practice, but very few were willing to let go of their indentured workers for the financial risk involved. Before I began this quest Thomas Jefferson was my favorite early president. I love his love for science and learning and thirst for knowledge. After reading this biography I am a little disappointed in the man, but then, aren’t we always disappointed when we put people on pedestals? That’s also why I think everyone should be required to read presidential biographies, especially of those they so often invoke in the name of whatever cause they are championing. It’s disappointing to read about Jefferson leaving his family with such debt because he couldn’t control his spending. It’s also disappointing to read about him owning slaves. I’m really beginning to like this reading challenge because I get to see how each president overlaps with the other, how they were contemporaries in government, how the leadership of one builds the foundation for another and so forth. I had to purchase this biography online as my local library did not have a copy. That’s probably for the best since it’s huge and with the last three I had a terrible track record of renewing them until I ran out of renewals. It’s been sitting on my shelf for months as I read all of the books above. I guess I just needed a break from American history to read…well, as it turns out, more American history. Wow, at the end of this I’m beginning to see a real pattern in my choice of reading this past year/months. How strange. This is a book I found in the clearance section at Barnes & Noble. I’m a huge history buff (if you haven’t noticed by this list) and I like to spend my reading time learning something as well. This book is purely academic and each chapter follows the pattern of a college writing course essay – introduction, subject paragraph 1, …, conclusion. The information is incredibly interesting though. The only thing I knew about how the Bible came into being before was that a) authors throughout ancient history were divinely inspired to write these words, b) church authority got to decide which books made it into the Bible, c) some books were rejected and these are called the Apocrypha. Well, what I knew was mostly wrong. The neat thing to learn is that across centuries and languages books are found to be nearly identical and that’s what lent to their authority in being included in the Bible. It’s also interesting to learn the history of publishing from the ancient world to modern day.